Today in the ongoing saga of whether Planned Parenthood is selling aborted fetal body parts or not (they are not), a House Judiciary Committee met for a hearing titled “Planned Parenthood Exposed: Examining the Horrific Abortion Practices at the Nation’s Largest Abortion Provider.” The provocative title sure gets the point across, and three anti-abortion activists were invited to testify, but there was one big issue with the hearing from the start: No representatives from Planned Parenthood were invited. 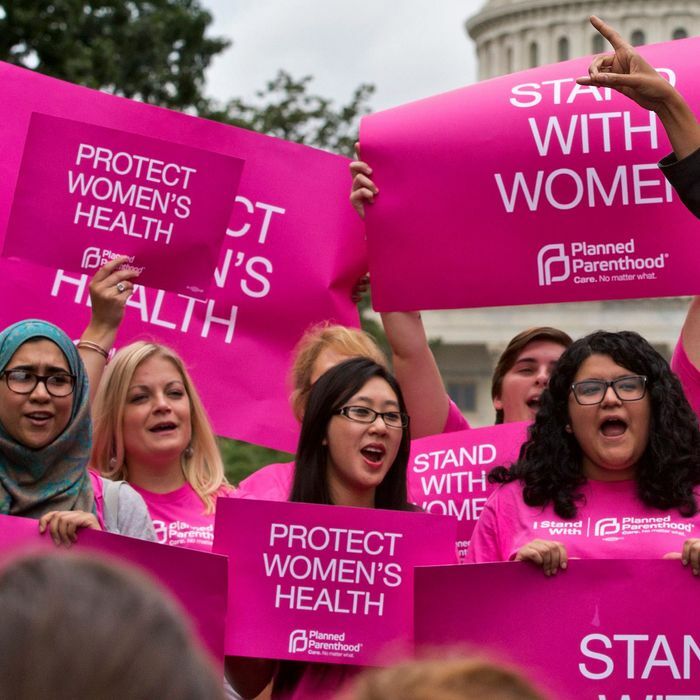 In a statement released this afternoon, Dawn Laguens, executive vice-president for PPFA, said, “This hearing was political theater at its very worst,” adding that the hearing was not actually about “exposing” Planned Parenthood; it was “a chance for anti-abortion extremists and members of Congress to promote their political agenda of banning abortion in this country.” The three anti-abortion activists invited by House Republicans to testify at the hearing included one member of the National Right to Life Committee, and two activists who had been born as a result of failed abortions. “These attacks against Planned Parenthood are fraudulent, have been widely discredited, and are intended to deceive the public in order to further an anti-abortion agenda,” Laguens wrote — an agenda that got as far as the failed Republican attempt to defund Planned Parenthood. Meanwhile, PPFA released a report this morning that debunks 15 years of Republican and right-to-life attacks and accusations on the abortion provider.